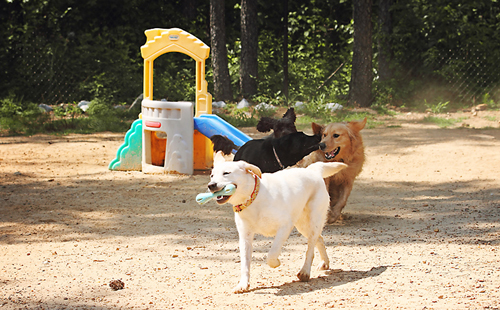 Romp, run, tug and play…who’s going to be here today? 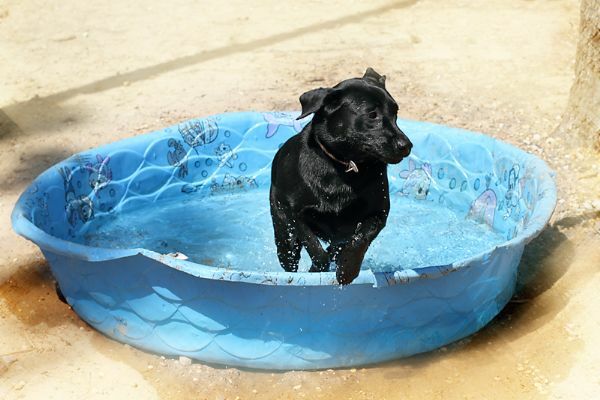 Doggie daycare is a great experience for most dogs. 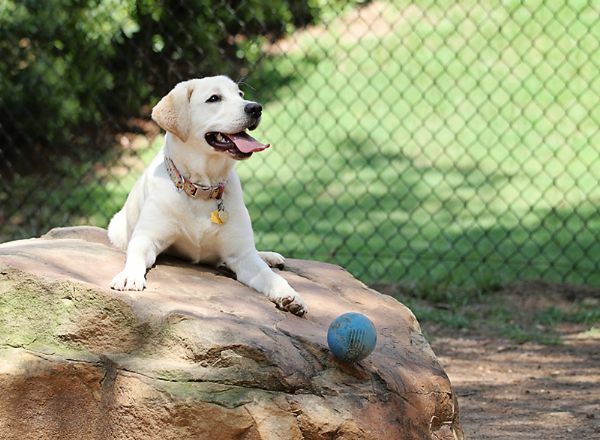 Instead of feeling lonely or anxious, chewing on your furniture or shoes while you are out, doggie daycare allows your dog the opportunity to play with friends, de-stress and exercise. We have a 600 sq foot indoor play area as well as a large fenced outside play area that is naturally wooded and shaded. 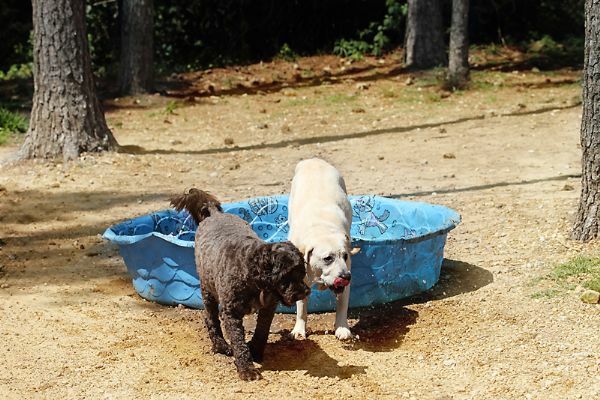 All doggie daycare sessions are supervised by professional staff. 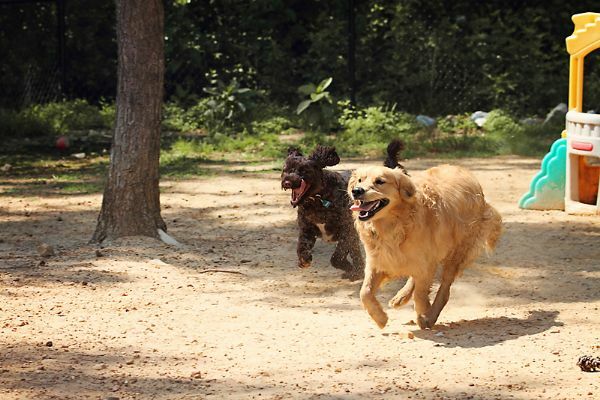 Dogs go home socialized and rest well. Doggie daycare is offered Monday thru Friday. All participants have to be spayed or neutered, unaggressive and up to date on Rabies, DLHPP, and Bordatella (kennel cough) vaccinations. Tours of the resort are available Monday - Saturday. We are located at 2193 Parkway Lake Drive in Hoover, Alabama. We can be contacted by phone at (205) 397-3197 for reservations or questions.